We have the knowledge to successfully manage all your oil and gas needs. Our office is located in Missoula, Montana to meet the expanding needs of clients with the development of the Bakken oil field and other natural resources. Sean Bracken has also been a featured speaker for lawyers, engineers, and landmen at oil and gas conferences in Montana. 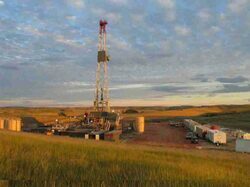 Thus, we are one of the very few firms in Montana with the experience to handle the growing needs of the oil and gas industry. Sean Bracken developed his skills on the Gulf Coast working for major producers, successfully handling matters involving everything from leases, wells and oil rigs, to pipelines, oil spills, and international shipping, and everything in between, including billion dollar plus disputes.